The FSA 45 trimmer is great for small areas. Less noise, no emissions, lightweight and no maintenance. This unit has an interior rechargeable battery that provides up to 20 minutes of run time. 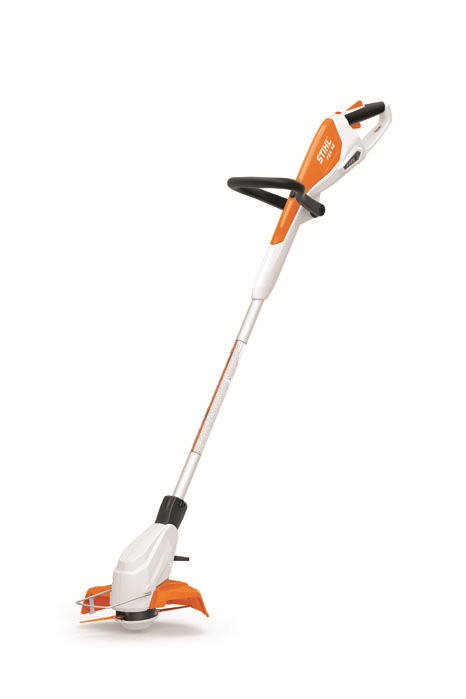 Stop by and see our new line of battery powered Stihl handheld equipment!